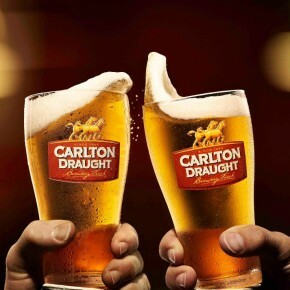 Not so long ago, I saw an advert for an American beer by the brand Carlton. I thought I would see more than the brand itself. However, you are about to find out that what I saw certainly didn’t abide by the norm. I am not talking about the message that it is trying to transmit to the consumer nor the content of the message, which, of course, is key to any piece of communication. I am talking about the method of how to say the same thing but in a different way. The advert: A typical American story involving cops and robbers, loot and pursuit… Every single topic you can imagine that has been covered by thousands of films from Hollywood. But, with a twist, a creative difference, a gesture that makes you like the story, that makes you smile and, above all, that surprises you. For me, this is and will always be the secret of publicity. If all the products are becoming more alike on a daily basis, communication is the tool that must help to differentiate them. “I am beer, but hold on! I am the beer that tells you something different.” And that’s it! I don’t know if beer is stronger or smoother, lager or bitter. I haven’t got a clue! However, the advert captured my attention and I liked it. And because I liked it, if one day I find myself with the beer in front of me, I will try it. I will, at least, try it. I know that I have not discovered anything new here, but sometimes it is good to remember this when trying to create the element of surprise in a piece of communication. Cheers!